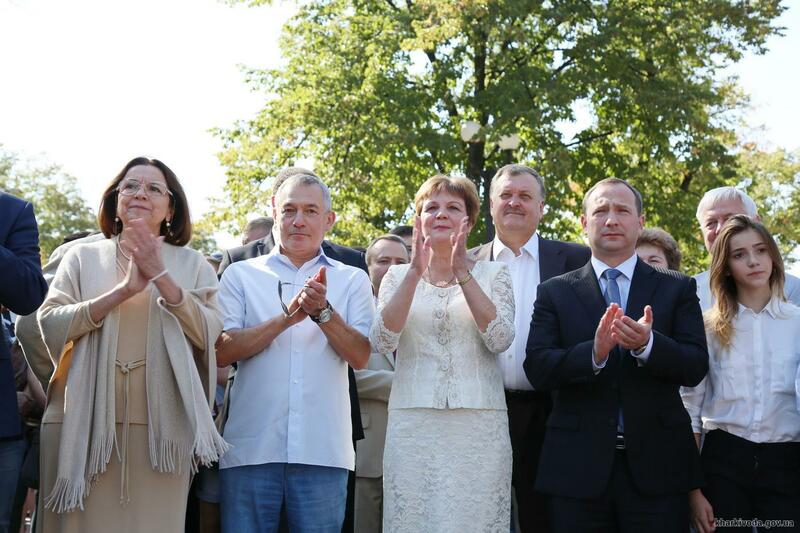 On September 27th, a presentation of the Kharkiv university consortium was held in a park near the Pokrovsky Cathedral. The Educational Union rallied 31 higher education institutions of different forms of ownership: all the public universities in the region, and several municipal and private. 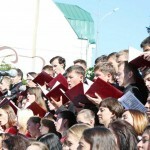 The classical music concert in the open air was the first event structure, which united all the universities of Kharkiv. 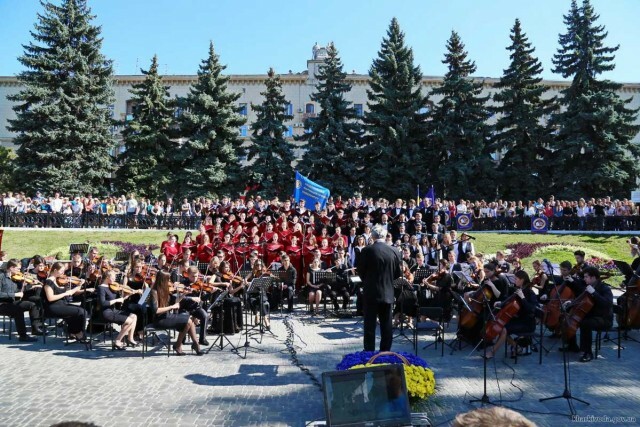 Student Symphony Orchestra of Kharkiv National Kotlyarevsky University of Arts performed classical music for students, rectors, and guests. The event was attended by the chairman of the Kharkiv Regional State Administration, Igor Rainin, who said: “A few days ago, we opened an office of the Kharkiv region in Washington. 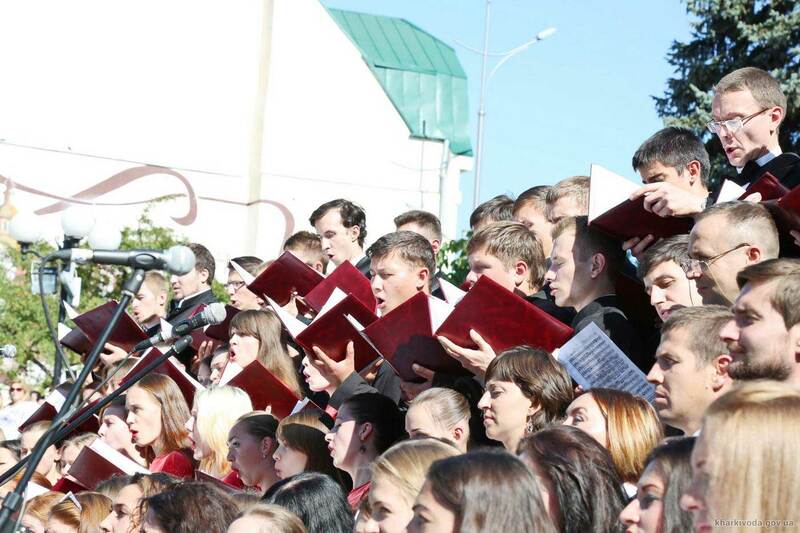 It will also allow the Kharkiv students, faculty, and graduate students to participate in the best international programs. This is very important in the development strategy of the Kharkiv region – it is education reform, the reform of university complex”. Creating a consortium should contribute to the development of innovative educational processes, staffing, scientific schools, cooperation of universities, and employers. Reference, the agreement on the creation of the Kharkiv University Consortium, was signed on May 27th in a meeting of the Council of rectors of higher education institutions of III-IV levels of accreditation field. A Consortium involves a single informational, scientific, educational, and innovative base. Chairman of the Consortium elected is Doctor of Social Sciences, Professor, Director of the Kharkiv Regional Institute of Public Administration of the National Academy of Public Administration under the President of Ukraine, Ludmila Belova.